As Alzheimer's Symptoms Worsen, Hard Conversations About How To Die : Shots - Health News Six years after he was diagnosed with both cancer and Alzheimer's, Greg O'Brien is beginning to talk to his doctor, and to his family, about his "exit strategy" for the final years of his life. Six years after he was diagnosed with early onset Alzheimer's disease, Greg O'Brien is thinking differently about the future. Even as he fights to hold on to his memory, he and his wife, Mary Catherine, are discussing how to let go. These days, Greg O'Brien is thinking differently about the future. It's been six years since his Alzheimer's diagnosis, and he's shared with NPR listeners a lot about his fight to maintain what's left of his memory. He's shared his struggles with losing independence, and with helping his close-knit family deal with his illness. What O'Brien hasn't wanted to talk about until now is the diagnosis he got two weeks before he and his family learned he had Alzheimer's disease: O'Brien also has Stage 3 prostate cancer. Now, as his Alzheimer's symptoms worsen, the cancer — which he has decided not to treat — is increasingly on his mind. "I just don't know how much longer I can keep putting up this fight," he says. 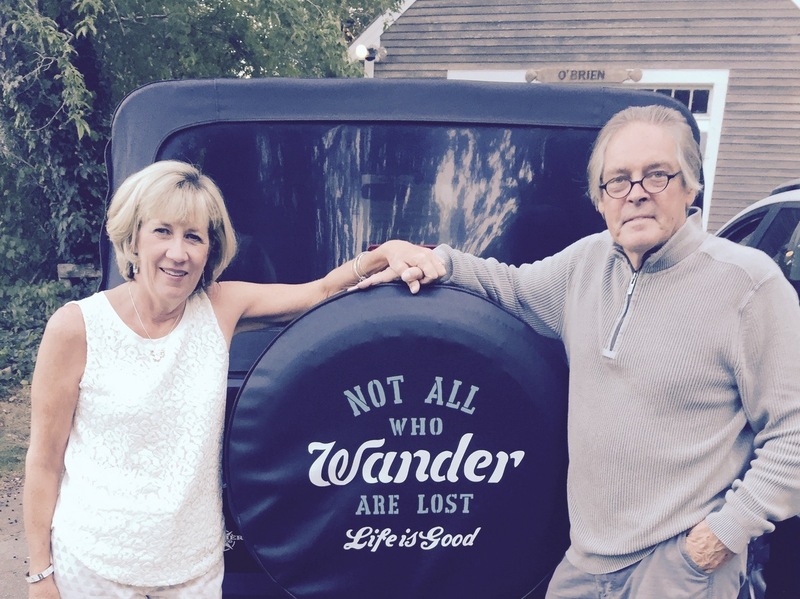 This summer, Greg and his wife, Mary Catherine O'Brien, have started talking about how he wants to spend the final years of his life — and what Greg calls his "exit strategy." He hopes the cancer will kill him before the Alzheimer's disease completely robs him of his identity. Recently Greg sat down with his close friend and primary care physician, Dr. Barry Conant, and with Mary Catherine, to talk about that decision and about Greg's prognosis. Maybe it will shorten the period in your life which you find right now to be something you want to avoid, and so far you're only talking about neglect of a potentially terminal condition. Is it OK to give up? Because I'm afraid when I let go, I'm just going to drift out. If you decided to be more proactive, that's where the discussion becomes more interesting. Some people would say I'm violating my Hippocratic oath by discussing that, but I think — I don't feel uncomfortable having that discussion. And, while you still have the ability to reason, it wouldn't be a bad discussion to have with your family. Nobody is indispensable — nobody. And if you or I were to immediately vanish from the Earth, our families would do fine. They have family support. They have friends' support. They're in a nice community. It's a terrible sense of loss that they'll have, but they will do fine. And if they're honest with themselves, they'd realize that they're going to do fine. Mary Catherine: Going through Alzheimer's, it's not the plan. Greg: It's getting so frustrating for me. I mean I care, obviously, deeply about you and the kids. I could see three or four more years of this, but I can't keep the fight up at this level. We talked about that the other night. How did you feel about that? Mary Catherine: Wow ... (chokes up). I don't want to talk about it. Mary Catherine: Only because you're OK with it. You need that exit strategy, and the exit strategy with Alzheimer's is horrible. Well, they're both horrible. Greg: You know I've been there with my grandfather and mother, and don't want to take my family and friends to that place. Greg O'Brien and his family will share more of their experiences with Alzheimer's in the next installment of Inside Alzheimer's on Weekend All Things Considered, and here on Shots.